Etymologically speaking, the word “church” is the English translation of the Greek word “ekklesia” which literally means an “assembly.” However, although this word was already in used before the Lord Jesus Christ used it, but we must understand this word as used by the Lord Jesus Christ and His apostles, or as used in the New Testament. Thus we must understand the word “Church” through what the Bible teaches about it. What is the “Church” built by Christ according to the Bible? One of the definitions of the word “organization” the dictionaries gave is “a group of people identified with shared interest or purpose” (Encarta Dictionary, Microsoft 2004-2009). Thus, when the Lord Jesus Christ established a Church, He established an organization. Thus, the Church established by Christ is not a “conglomeration of churches,” and not a “conglomeration of believers belonging to different religious groups.” The Church that Christ built is “one body” and He Himself is the head, and the Church is composed of many members but all joined together to each other as different parts of the one body. Thus, the Lord Jesus Christ established one organized Church. Thus, when the Lord Jesus Christ established His Church, He established the true Christian religion. Thus, the Lord Jesus Christ built one organized Church. 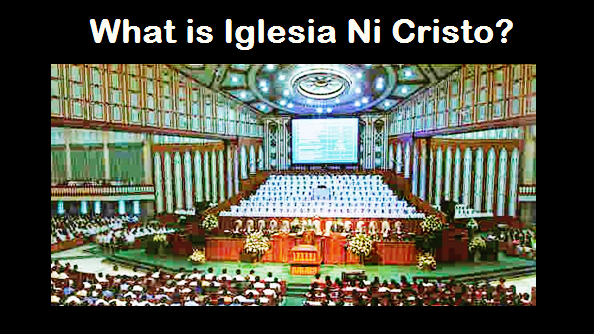 The Church He established is an organization, a religious organization, a Christian organization. The Church that the Lord Jesus Christ built is a religion, the true Christian religion. Because the Lord Jesus Christ established only one Church, He established only one Christian organization, one Christian religion.